So of course I found a way to wear knits into Spring…Eileen Fisher luxe silk and organic cotton knit separates feel soft but still have structure to maintain the boxy cut of the pieces that I was so drawn to. 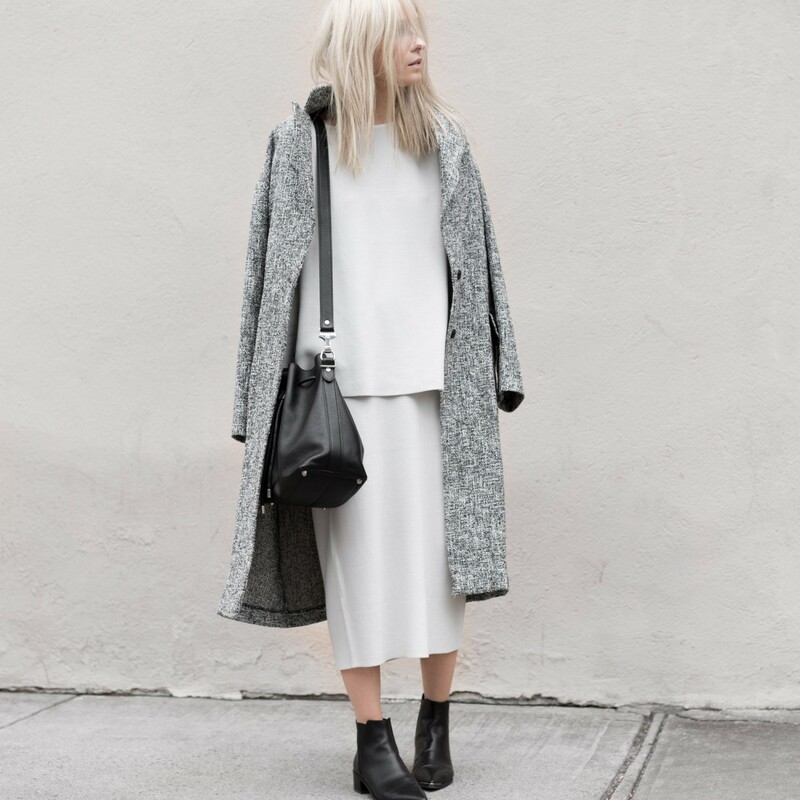 And while this skirt & sweater come in black, I opted for this ghostly, off-white hue, topped off with marled midi-coat for texture and finally anchored with my usual black accessory round-up ! Done & Done ! Stunning coat! Love your outfit’s shades!